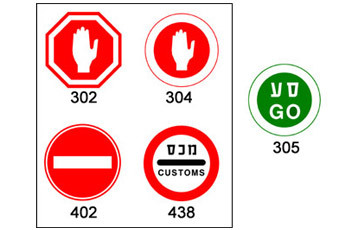 Which traffic sign is likely to appear before traffic sign 305? 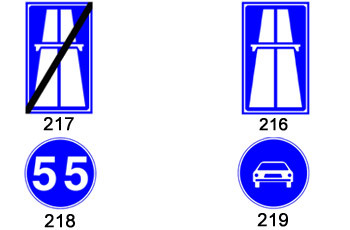 Which of the following road signs marks a "freeway"? 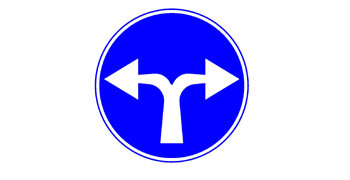 What is the correct way to check the road when starting to drive and merging with traffic? Glance in the mirrors and turn our head in the direction to which we intend to drive. Look as far as possible ahead. Glance at the rear view mirror and make sure that there are no vehicles behind us. Plan our merging with vehicle traffic near us. What are we required to check and verify before starting-up the vehicle’s engine? The parking brake is released, the gear handle is in first gear and the clutch is pressed. The parking brake is released, the gear handle is on Neutral (in automatic vehicles – N) and the clutch is pressed. The parking brake is secured, the gear handle is on first gear (in automatic vehicles – D) and the clutch is pressed. When is it prohibited to stop or park a vehicle? When the vehicle is parked in the left lane of a one-way urban road. When the vehicle obstructs the traffic or blocks a road sign. When the vehicle is not locked. How would you conduct yourself according to the picture? Glance at the mirrors, slow down and stop if necessary. Drive faster and honk gently. Honk for warning and continue driving in normal speed. Honk loudly to warn pedestrians. Does not correctly reflect the distance of the objects seen in it. It is the only way to prevent an accident. The driver or any of the passengers suddenly want to get off the vehicle. The driver wants to make a U-turn. The driver realizes he is lost. What is the minimum distance that it is permitted to park near a fire hydrant? Two meters in any direction from the fire hydrant. Six meters from either side of the fire hydrant. Twelve meters from either side of the fire hydrant. Twenty meters from either side of the fire hydrant. What is the order of actions to be taken in order to stop or park? 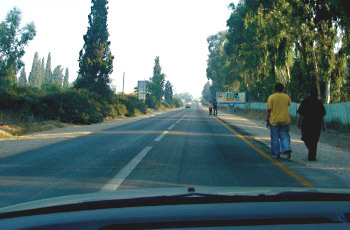 Check if it is permitted; make a peripheral check and slow down carefully. The order of actions before parking is of no significance. Slow down, deviate, stop and signal. The order of actions doesn’t matter. The important thing is to do it carefully. Is it permitted to push a vehicle, while its engine is shut-off, into a roadway to which vehicle entry is prohibited? Yes, when the engine works on neutral gear. Yes, but it should be lifted to the sidewalk. No. pushing It is the same as driving. Yes, when the engine is not working. What is a “booster seat”? A seat that is designed for transporting small children, restrained by the safety belt of the vehicle. A seat that is designed for transporting children on bicycles only while the children are restrained by a safety belt. Is the Licensing Authority allowed to revoke or suspend an existing driver’s license? No, only the Israel Police is allowed to do so. Yes, the Authority is allowed to do so, on the grounds of driving competence and medical fitness. No, only a court of law is allowed to do so. Yes, the Authority is allowed to revoke a driver’s license at its own discretion and for any reason. Driving above the maximum speed limit. Not stopping next to a “danger” warning sign. Driving a motor vehicle while having a temporary insurance policy. Not placing a “new driver” sign on the vehicle’s rear windshield. 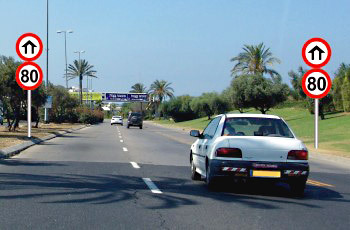 Any part of the road (pavement, hard shoulder, traffic island) which is elevated above the road way. A motor vehicle having a prescribed maximal speed of 50 k.p.h. A motor vehicle having a prescribed maximal speed of no less than 50 k.p.h. A motor vehicle having a prescribed maximal speed of 55 k.p.h. Driving calmly within the speed limit and making sure that the tire pressure is correct. Driving calmly within speed limit, using the lowest gear. Driving as slow as possible and reducing the vehicle’s excess weight. Driving as fast as possible and reducing the vehicle’s excess weight. How is a driver required to adjust the vehicle’s head rest? The upper edge of the head-rest should be aligned with the bottom line of the driver’s neck. The lower edge of the head-rest should be aligned with the upper tip of the driver’s head. The upper edge of the head-rest should be aligned with the upper tip of the driver’s head. Proper adjustment of the driver’s head-rest is of no significance. What is the speed limit for private vehicles on the following road section? Receiving a mobile phone call. Reading or sending an SMS Message. Adjusting the passenger seat besides the driver. Until where do the following road signs remain valid? Until the nearest traffic light, provided that the light is green. Until the nearest bus station. The validity of the sign expires when approaching a densely populated area. 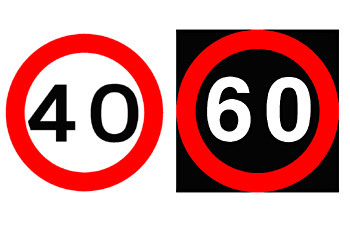 Until the nearest junction or until another “speed limit” or “end of speed limit” sign is placed. 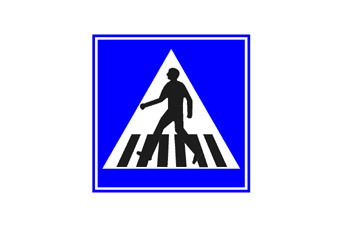 Pedestrian crossing about 150 meters ahead. 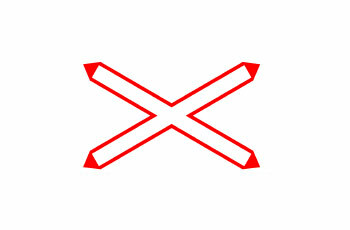 give right of way to pedestrians crossing on the marked area. Winding road in both directions at the next intersection. No U-turn to the left. Pass the place that is marked with a signpost from its right only.